Dr. Arrington loves living and practicing in Idaho! He grew up in Idaho Falls, ID but has deep family ties to the Magic Valley. He now lives in Kimberly, ID with his wife, two sons and two daughters. He has a dog too. Dr. Arrington is licensed to practice as a Family Nurse Practitioner and Chiropractic Physician in the State of Idaho. 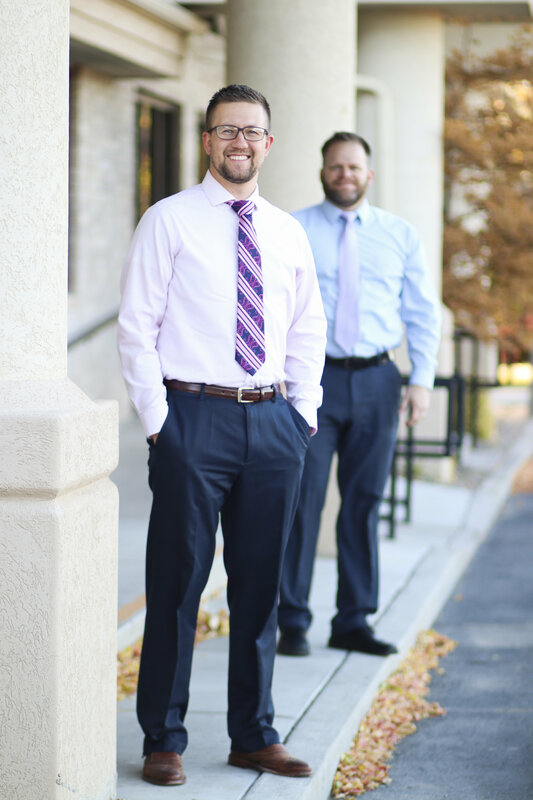 He has practiced as a Chiropractor in Twin Falls, ID since 2004 and a Family Nurse Practitioner in Twin Falls since 2016. Dr. Arrington’s is interested in outdoor activities and personal development. He enjoys backpacking, scouting, canoeing, mountain biking and climbing. He often complains that his favorite passtimes, golf, flyfishing and jiu jitsu, are too frustrating. He enjoys a life-long study of martial arts. He has taught traditional Japanese Jiu Jitsu and Karate, and is currently studying Brazilian Jiu Jitsu. He prefers to spend his free time with his wife and children enjoying family activities. Dr. Arrington is an Eagle Scout and avid Scouter. He currently serves as the Scoutmaster in his boys' troop and as a trainer at the Woodbadge scout leadership course. Dr. Arrington attended Idaho State University in Pocatello, ID. 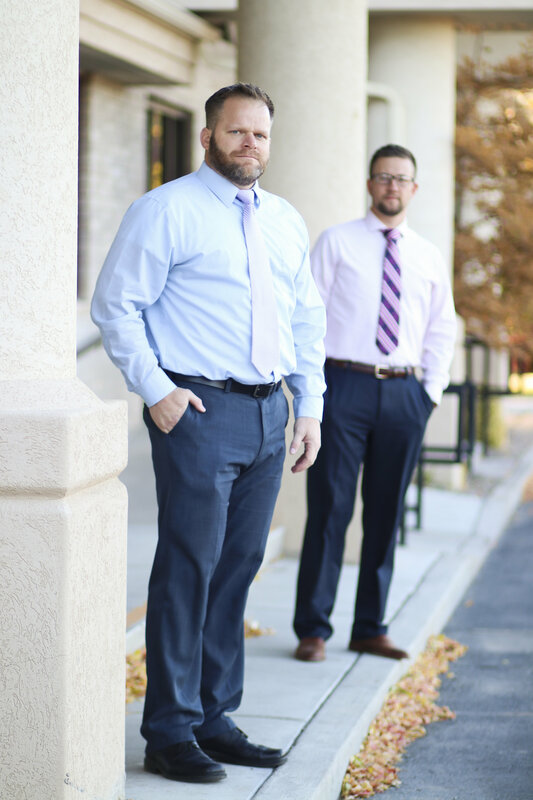 He completed his graduate studies at Samford University in Birmingham, AL with a Master's Degree in Nursing and at Western States Chiropractic College in Portland, OR with a Doctorate in Chiropractic Medicine. He also has Bachelor’s Degrees in both Human Biology and Nursing. Dr. Arrington also has training Naturopathic Medicine and Mechanotherapy from Central States College of Health. He was previously certified in Clinical Nutrition by the Chiropractic Board of Clinical Nutrition. Dr. Tan ner Wray was raised in Grant, Idaho where he learned the importance of hard work and education. Upon finishing high school in Rigby, Idaho, he served a mission for the Church of Jesus Christ of Latter Day Saints in Veracruz, Mexico where he spoke Spanish, and grew to love the Hispanic culture and community. After his mission, he fell in love with and married Katelyn Searle of Shelley, Idaho. Dr. Wray graduated from Brigham Young University of Idaho with a Bachelor of Science in Exercise Physiology and Sports Medicine. He continued his education at the University of Western States chiropractic college in Portland, Oregon where he received his second Bachelor of Science degree in Human Biology and his Doctorate in Chiropractic. Upon graduation, Dr. Wray has returned to his Idaho roots to provide care for the Magic Valley Community. Dr. Wray is devoted to providing high quality chiropractic care to the Twin Falls and Magic Valley community. He works to individually modifying each treatment according to each patients needs. He enjoys working with patients of all ages. He also enjoys working with the Hispanic community. He believes that an important part of effective treatment is providing education to promote an optimal healing environment, prevent re-injury, and optimize health. Dr. Wray enjoys camping, fishing, traveling, baseball, and spending time with his wife and three children. He plugs away on his guitar occasionally, and looks for any opportunity for self improvement, learning, and personal growth.